Sometimes, after a long day, you need a savory soup to wash away your stress. This soba noodle bowl recipe will do just that. If you’re looking to cook up something different, this is a recipe your whole family will love. 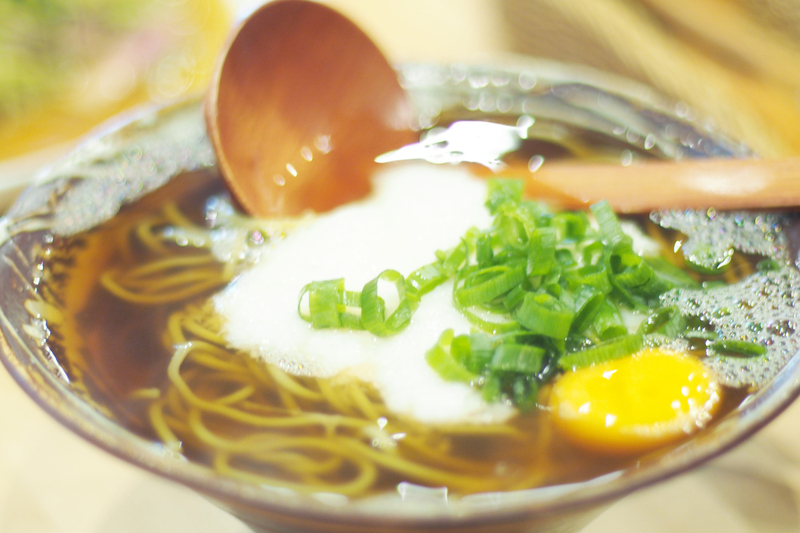 Your soba noodle bowls with eggs will surely be a hit. The aromatic broth and tasty veggies in this soup make for a healthy meal, and the serrano chile gives it the right amount of spiciness. The addition of eggs also brings a lean serving of protein to the dish. All the ingredients come together for one delicious meal. Even with the four servings, you likely won’t have any leftovers. In fact, your family will probably ask you to make this recipe again and again. Add the broth, ginger, garlic, and Worcestershire sauce to a medium saucepan over medium. Bring it to a boil. Reduce the heat and let it simmer for 10 minutes. Add the bok choy or napa cabbage and simmer for another five minutes or until it’s tender. Add the serrano chile and green onion. Keep the mixture on low heat while you cook the eggs. Fill a saucepan with 3 inches of water and add the vinegar. Let the water simmer over medium to medium-high heat. One minute before serving, crack the eggs into the broth and allow them to simmer with the soup. Divide the noodles among four bowls. Ladle the broth mixture into each bowl, evenly splitting the eggs for each serving. If you’d like, sprinkle on some sesame seeds, too. Season each dish with salt, black pepper, and cardamom. You could even throw in a dash of sriracha if you want to add some heat. When you use Sauder Eggs for cooking or baking, your recipes will come out just a little bit better than before. They’re the perfect ingredient for our soba noodle bowls with poached eggs recipe. Please use our store locator to find the closest grocer near you with the highest-quality eggs.